Order your Dupont Line D Medium Ballpoint today from FahrneysPens.com. Fine Pens, Refills & Luxurious Gifts – great prices & fast shipping. The newly remodeled Line D is characterized by a strong brand symbol – the blazon signature on the clip. It signifies 145 years of pride and the family history of S.T. Dupont and acts as the corporate seal. The blazon also highlights the legendary lacquering know-how of the brand. The top of the cap has been reworked to magnify the ‘D’ of S.T. Dupont for immediate recognition. To echo the famous ‘ping’ of the S.T. Dupont lighter, the distinctive sound of the cap clicking when opening or closing the pen is now a unique brand element. Line D’s curved shape and soft lines provide a simple, timeless elegance. 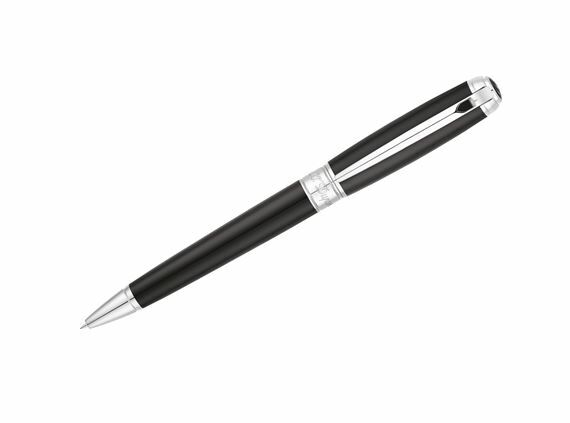 Its perfect proportions and well-balanced design provide excellent writing comfort in the hand. 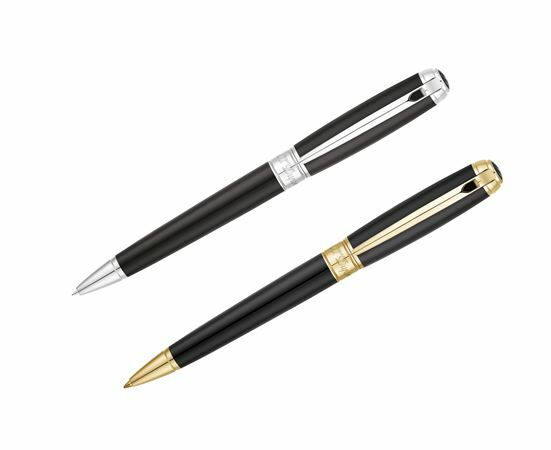 Of course, each new Line D pen is 100% handcrafted in France with precious materials – the natural black lacquer finish is adorned with your choice of gold or palladium-plated fittings. The Line D writing instruments are available in medium or large sizes to accommodate any writing style: a fountain pen with 14K gold nib engraved with the blazon, twist-action ball pen and convertible capped rollerball.